Now he might not be a Flava listener, but Kiwi celebrity chef Josh Emett has been living his best life in California this week. The 45-year-old took to Instagram to share some snaps of himself and his wife Helen partying it up with some new famous friends at a Coachella party, including someone we're definitely a massive fan of! 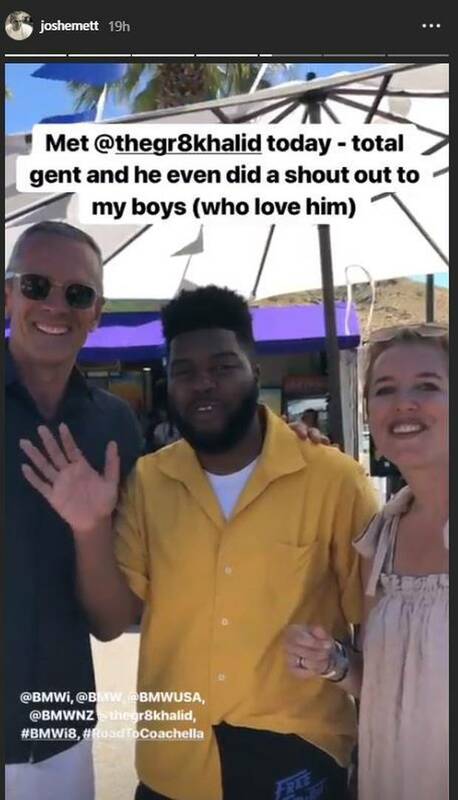 The Kiwi chef even got Khalid to do a shout out to Emett's boys who are massive Khalid fans. It comes ahead of Khalid's performance at Coachella on the last day of the first weekend at the two-week long festival in California. Khalid has just released his Free Spirit album, which features his popular tracks 'Talk' and 'My Bad'. Khalid is set to bring his Free Spirit tour to NZ on Thursday 21 November at Auckland's Spark Arena.